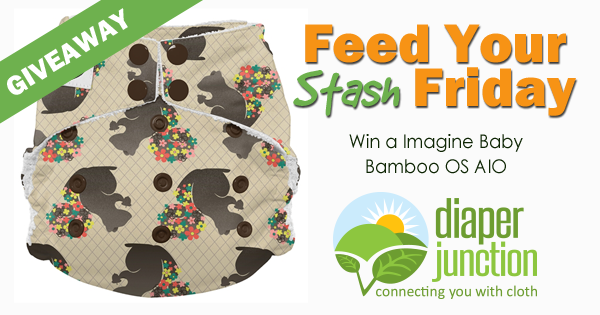 Win a FREE Imagine Baby Bamboo AIO from Diaper Junction! One lucky winner will receive their choice of any in stock Imagine Baby Bamboo OS AIO! Enter to win using the Rafflecopter below. Must be 18 years or older to enter to win. Winner will be notified by email and will have 7 days to reply and claim their prize. I love the feed your stash Friday giveaways. The new Imagine nuts about you and on the rocks prints are both adorable! I have not tried any imagine products but I'd love to! I love this new print! I have a diaper and love it. I love the diaper rite covers. The three snaps means no side dropping. Plus it is sized generously for my 30 pound toddler. No I haven’t tried any of their products yet. I haven't tried Imagine yet. But so many of their prints are really cute! I’ve never tried Imagine, but I’ve wanted to! I’ve tried imagine nb AIOs with my niece. They were great for in the beginning when she still had her cord stump. We also got bamboo AIOs for my cousin when she was getting started cloth diapering her son. They make some nice products and cute prints. I’ve never used imagine almost bought a fitted but held off until I decide how many fitteds I want in my stash and if I want a newborn or wait until he fits in the larger size! I love imagine stretchy flats and pockets! Can't wait to try the bibs! I have the BAIOs, cover, pockets, all in two cover, prefolds, and stretchy flats. I havent tried any Imagine products yet but I would love too!! I have 1 Imagine diaper cover right now, but it doesn't fit my newborn just yet. I can't wait until he's just a little bigger to wear it! Its so cute! I'd love to try this diaper too! We are trying to stockpile our cloth diaper stash. We would love a free diaper to try out! I haven't tried imagine products yet! Would love to win this print! I cannot wait to try this brand and add them to our stockpile! 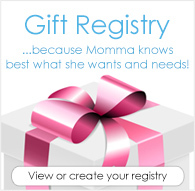 I am pregnant with my first baby and have never tried Imaging products! I havent tried them and I am looking forward to doing so ! Love saving the planet and giveaways help. Happy mothers day! I have not tried Imagine Baby products yet. We have a bunch of imagine pockets, bamboo fitteds, and one newborn AIO. I love the pockets and bamboo fitteds and think this diaper would be great!